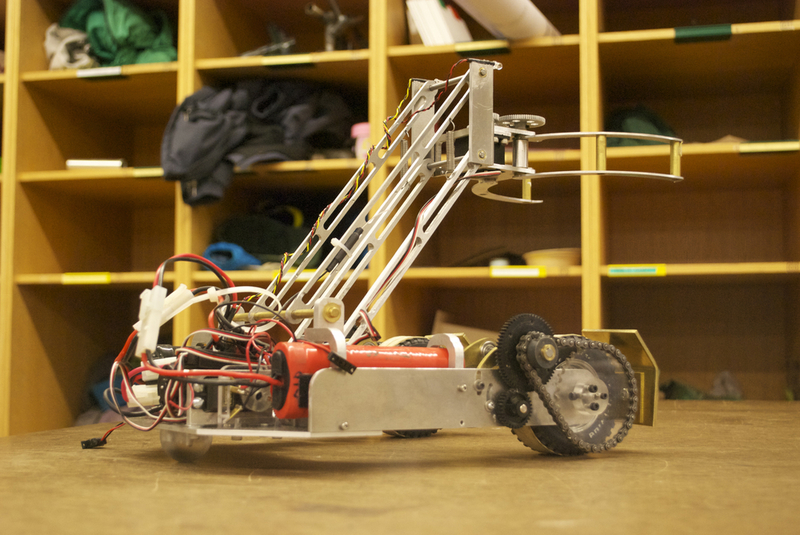 With a team of four other people, I helped build a radio-controlled machine for a Machine Engineering class in the fall of 2012 at Dartmouth College. The machine had to accomplish tasks that required precise mobility as well as the ability to raise and lower objects picked up off the floor. What we created was a front-wheel drive machine with a roller ball in the back. Each front wheel was independently driven. The machine had a worm-gear-driven, parallel-linkage lift system with a claw controlled by a small servo at the end of the linkage. We used mills, lathes, and a laser cutter to machine the parts.